The 37th annual Saintly City Cat Show opened during the Saint Paul Winter Carnival this weekend. The show is one of my favorite Winter Carnival activities, mostly because of the characters you meet of the human and feline kind. This cat owner was no exception. Day 26 of Photo 365. 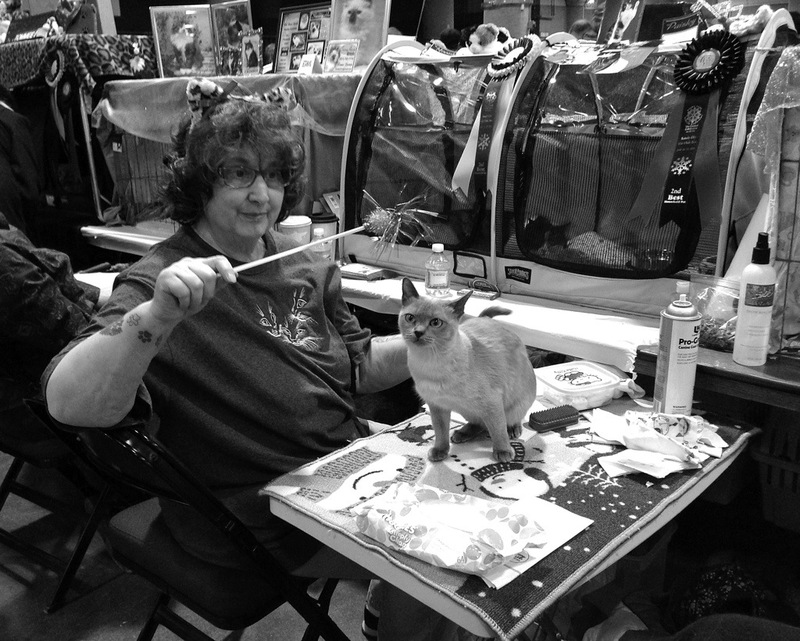 This entry was posted in Photography and tagged Photo 365, Saint Paul Saintly Cat Show. Bookmark the permalink.